Lakes Performing Arts Company is proud to present our very first showcase! Come and see a mixture of Dance, Drama and Music by a variety of performers. There will be something for everyone! We have two shows: 2pm and 6:30pm. Tickets will be $15 for Adults and $10 for Under 12. $5 from each ticket will go towards our LA Dance Tour in 2018. 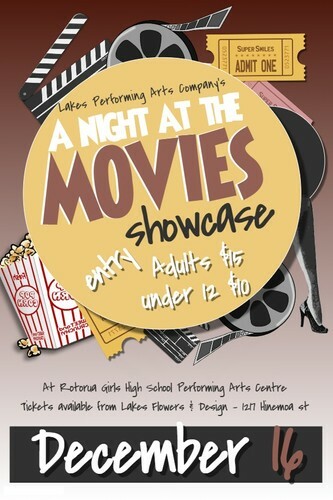 Tickets on sale next week at Lakes Performing Arts Company and Lakes Flowers and Design on Hinemoa Street.